Vintage Tradition on the Radio with Giveaway! Listen to win, and call in with your testimonials and questions. Mountain Country KQSC radio station will be interviewing Andrew Gardner of Vintage Tradition on their show, For the Health of It, at 8 am Mountain Time this Tuesday, October 23, 2018.
or by visiting the Mountain Country website and clicking the green round play button under "TuneIn". If you're in southern Colorado, you can, of course, just tune in to 107.3 FM or 1530 AM. If you'd like a reminder on the night before the show, just reply to this e-mail to request one! Be sure to tune in for a fascinating interview discussing skin health and the role Tallow Balm plays in it, and for your chance to win free Vintage Tradition products both during and after the show! We would also love it if you would call in to the show with your testimonials or questions at 719-359-5409. If you're too shy to be on the air, you could instead post on the Facebook Live broadcast, and the DJ will read it on air. 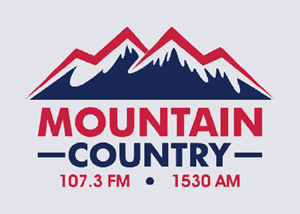 If you miss the broadcast, you can listen to it afterwards on your favorite podcast app or by finding the Facebook Live video on Mountain Country's Facebook page. And be sure to order your Tallow Balm here!